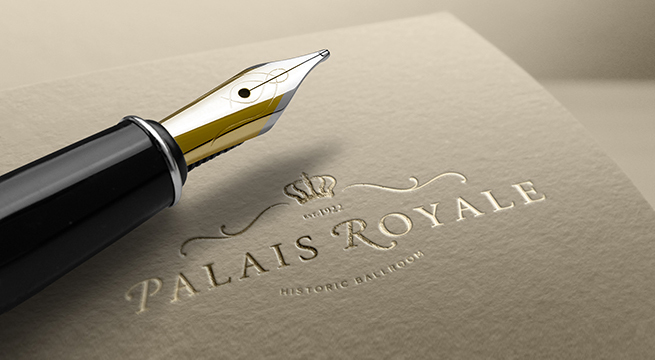 The 8,800-square-foot Palais Royale Ballroom is sure to dazzle you. 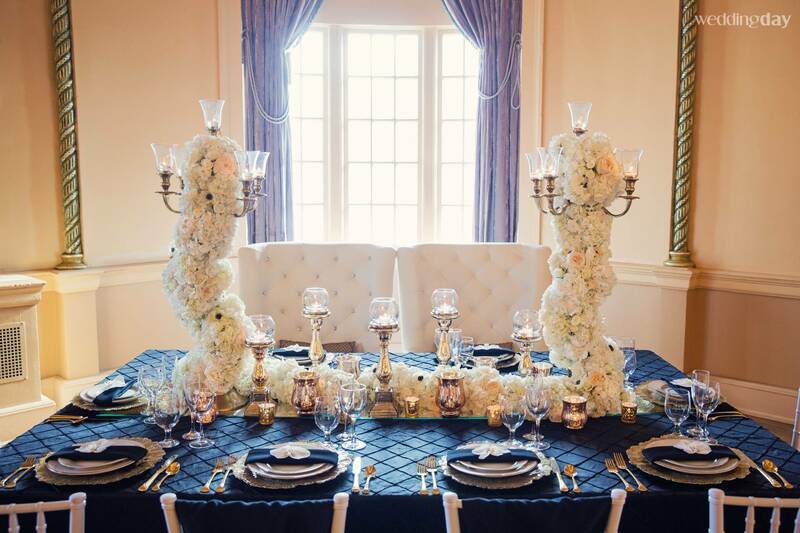 From the polished hardwood floors to the 35-foot ceiling, featuring an elegant crystal chandelier and gilded with gold-leaf, you will be swept away in its grandeur. The tall windows draped in lavender velvet provide natural light to the space. 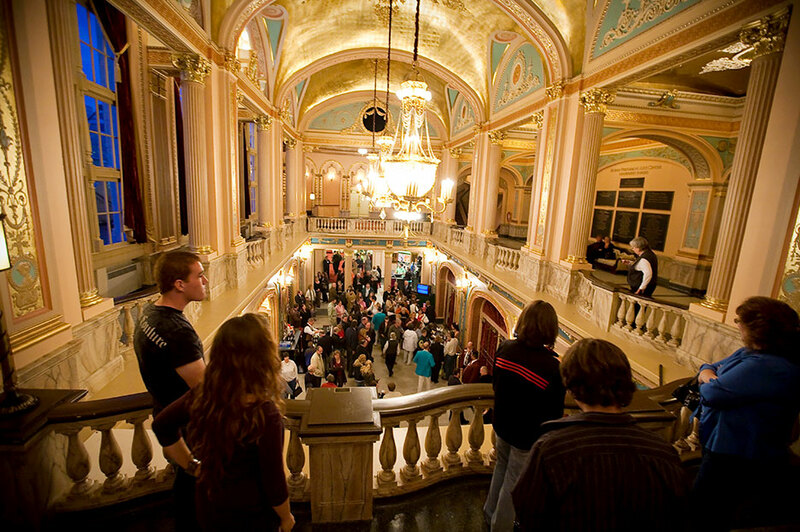 And, the original musicians' balcony overlooking the ballroom offers a breath-taking view of your event as well as provides the perfect place for unique photo opportunities. 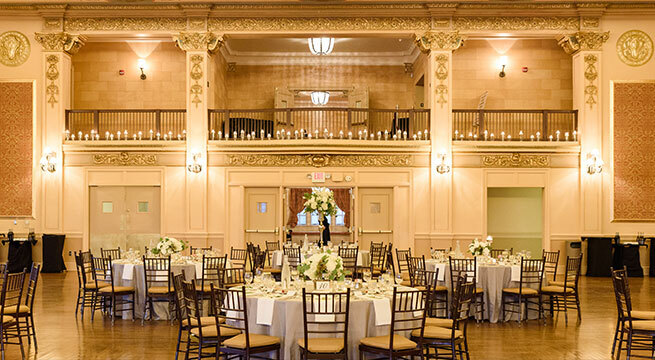 This space can accommodate well over 850 guests for a standing reception, or up to 650 for a sit-down wedding, banquet or meeting. 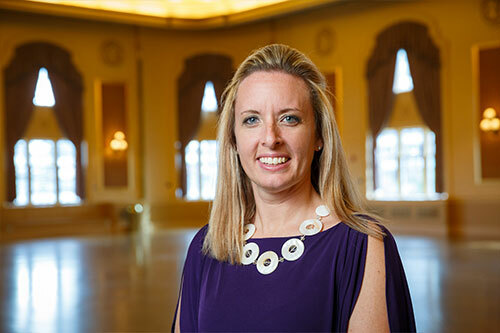 You’re not just booking a venue, you’re booking a suite of services and amenities to make your event a unique and extraordinary one. From start to finish, you’ll get services above and beyond that you won’t find anywhere else. 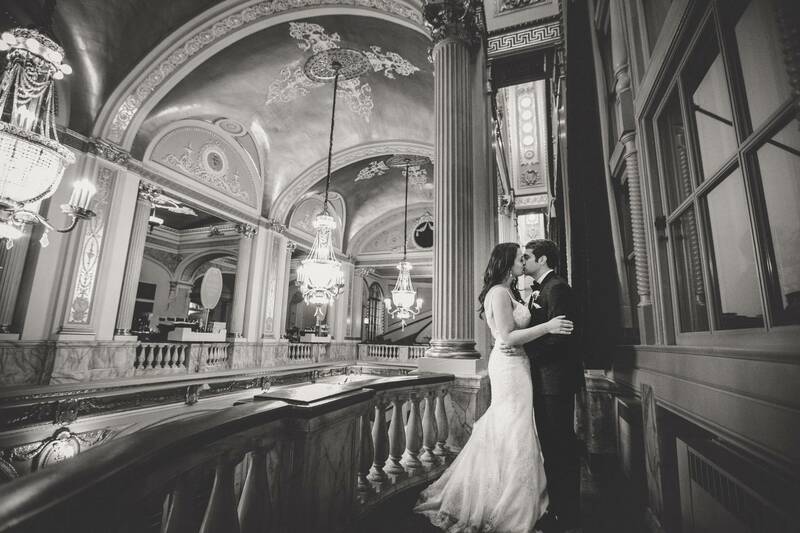 The Morris Grand Lobby is the ideal location to start your event. Corinthian columns, French cameos, the original 1920s terrazzo flooring, and beautiful gold domed ceilings are just a few of the European elements that make this space so stunning. 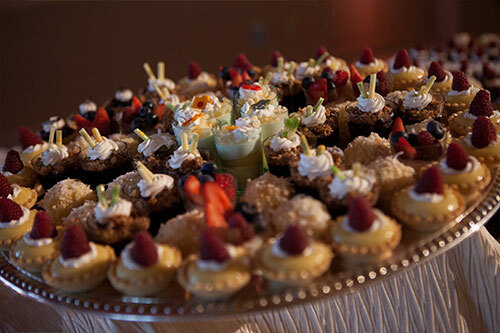 The lobby is a perfect host for cocktail receptions up to 500 or banquet functions up to 125 guests. 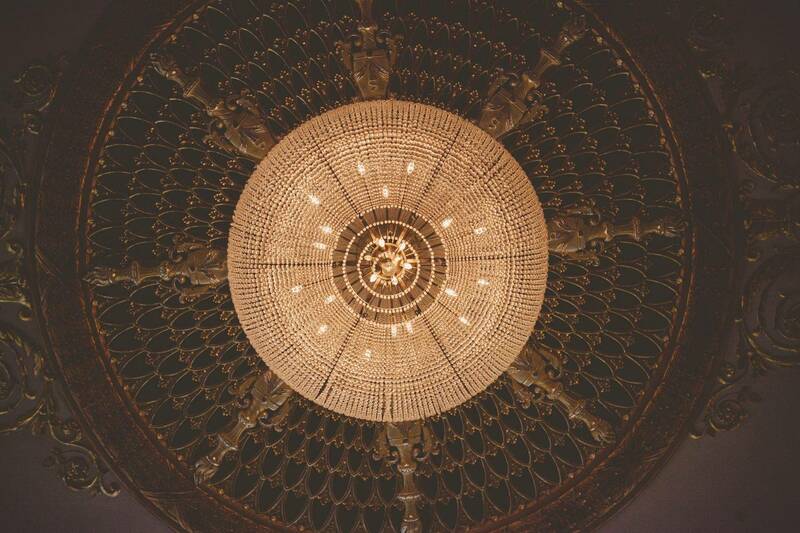 The Morris/Leighton Theater isn't only for unforgettable shows! 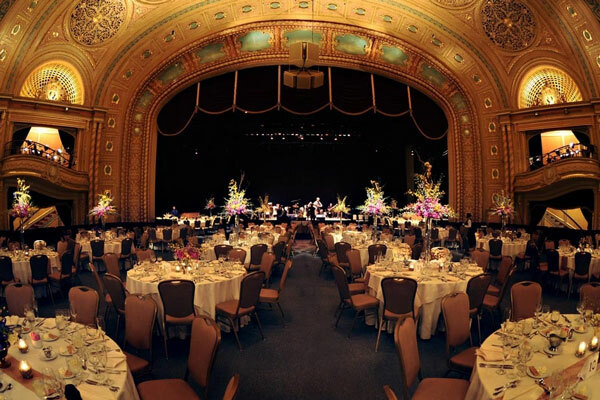 The theater is perfect for many types of unique events from corporate functions to weddings on stage. The historic theater, which has been restored to its 1920s grandeur, boasts 2,500 permanent seats on two levels and state-of-the-art sound and lighting. 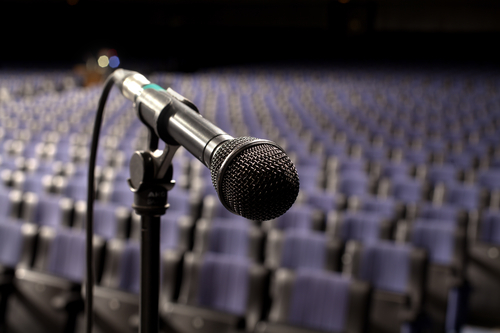 The stage can accommodate groups up to 175 for all weddings, banquets or meetings. Tucked inside the MPAC, the Granada is an exclusive and swanky space with a style rooted in the great age of theater. 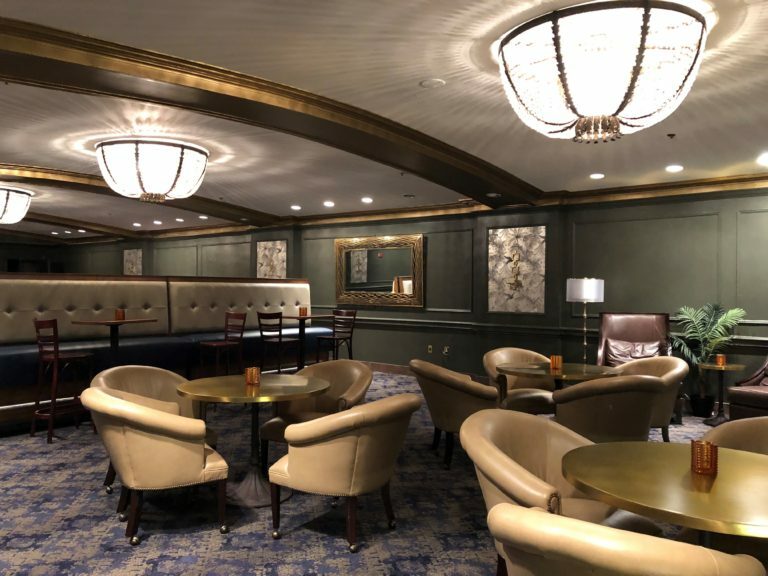 Lined with lavish leather seating and a full bar offering handcrafted beverages, this space provides an unhurried atmosphere. The Jon R. Hunt Plaza, has become the hub of arts, culture, and entertainment in downtown South Bend is located across from the Morris Performing Arts Center. Stunning sculptures and a pristine fountain create a unique outdoor setting for your next event. From cocktail hour before your event to banquets to weddings and wedding receptions, the Jon R. Hunt Plaza provides a versatile space to celebrate many different occasions.